This story doesn’t need much to build up the anticipation and tension. No full speed trains with ticking bombs, no fight against erupting volcanoes or invading other-wordly creatures. The daily realities of the lives of undocumented immigrants and their families suffice for a harrowing experience. Life as they know it contains the most frightening elements of all. The possibility of being indefinitely torn away from the people that love and protect you. 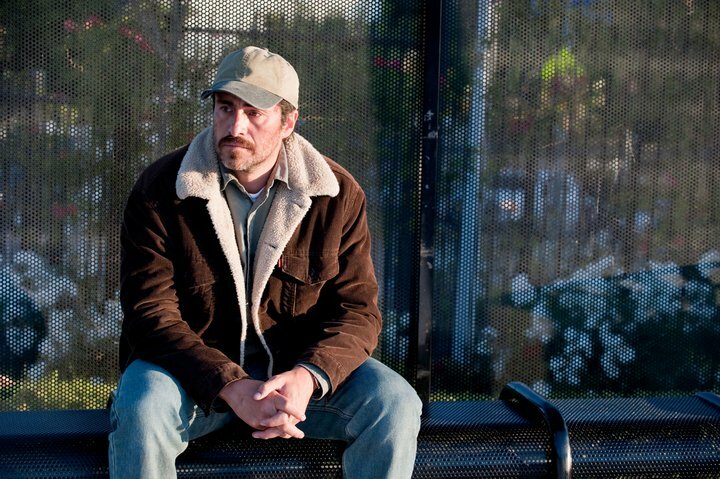 A Better Life is a story that follows the daily struggle of Carlos Galindo (Academy Award nominee Demián Bichir) an undocumented immigrant living and working as a gardener in Los Angeles, to provide for his teenage son Luis (José Julián). Finally, Carlos has the opportunity to purchase his own gardening business, including truck, tools and even clientele so that the dream of a better life finally seems attainable. As a self-employed gardener, he’d earn enough money to pay for a lawyer to help him legalize his status. And most importantly, he and his son would be able to move into a nicer neighborhood with better schools. But when the truck is stolen, their dreams seem shot and what little they’d gained with so much effort was instantly gone. The story follows the father and son in their journey through the city to find and reclaim their truck and their dreams. The heart of the film is in the fragile relationship between a father and his adolescent son in the face of the constant threat of deportation and permanent separation. The relationship seems to hold by the thread of the father and son’s need for one another as they precariously build stronger bonds of trust while navigating many dangers of the city during their quest. This fragile father/son relationship and each of the characters’ vulnerability to each other is the core of this gut-wrenching and heartbreaking narrative. Their struggle requires them to take tremendous personal risks for one another. The moral climax of the film takes place as they reach what seems to be the near end of their journey and must wait for the right moment to take action. In waiting, they decide to spend an afternoon at the nearby rodeo and even manage to have fun in a respite from the mounting tension of their pending business. It is in this brief moment of ease that the son finds an opportunity for disarming honesty. In a moment of genuine inquiry that borders on reproach, he asks his father, Why do poor people keep having kids? What’s the point? The father, caught off guard by the pointed question, is incapable of answering. His breaking heart plays out unmistakably on his rugged face. The film seems to approach another deeper underlying question: is the separation of families in the deportation of a single or both parents a human rights issue? Family separation not only often puts the lives of the deported persons at serious risk, but also the wellbeing and safety of the children and spouses left behind. It is not uncommon for parents to simply “disappear” indefinitely into the immigration detention system without their children knowing. In addition, children are absorbed into the child welfare system and put under foster care. In A Better Life, the son’s question reveals the depth of the emotional and psychological consequences suffered by children of undocumented parents. It’s also a question for you, the audience. This moment in the film compounds the characters and the audience, the moral and political. The weight of an audience’s answer to this question is felt in such a way that allows us (the audience) to know that in the smaller and larger scope of things, our judgment does actually matter. Originally published in Letras Libres, in Spanish. Carribean Fragoza is an interdisciplinary writer and visual artist living and working in Los Angeles and in her hometown, South El Monte. She is a graduate of UCLA and CalArts’ MFA Writing Program. She is currently working on several book projects, is founder of the South El Monte Art Posse. She has published her work in publications such as Palabra Literary Magazine and Emohippus. Next Is the Beltline Bad for Atlanta?